Funeral Services for Mr. Johnny Williams age 65 of Americus, Georgia will be held on Friday, July 26, 2013 at 1:00 P.M. at the United Holiness Church in Americus, Georgia with Bishop Arthur Fulton officiating. Burial will follow at Staley Memorial Gardens. Mr. Williams died on Sunday, July 21, 2013. Mr. Johnny Williams made his entrance into life on September 30, 1947 in Webster County (Weston, Georgia). He was the first child born to his proud parents Mr. Robert Pete Williams, Sr. and Mrs. Evia Lee Dunning Williams. Johnny was educated in the Webster and Sumter County Public Schools. At an early age he joined the Shipp Chapel Baptist Church, Americus Georgia. Johnny departed this life on He was preceded in death by his parents and his only brother Mr. Robert Pete (Julia) Williams, Jr. He leaves to cherish his precious memories his wife, the former Vatis Marcus; his children: Mr. Michael (Stacy) Williams, Plains, GA, Mr. Mark Williams, Ms. Vatis Susette and Ms. Jonetta Williams, Americus, GA and Mrs. Cordelia (Theodore) Riley, Hampton, GA; seven sisters: Minister Lora (Johnny) Gaines, Mrs. Dianne (Frankie) Laster, Mrs. Sally (Ray) Lasiter, Mrs. Eliza Bell (Sam) Lester, all of Americus, GA, Mrs. Shirley (Otis) Holcomb of Columbus, GA, Mrs. Roxie (Rudolph) Dixon, Bridgeport, CT and Mrs. Maudie Ree (Alphonia) Leary of Byromville, GA; one uncle, Mr. Ernest Dean (Lucille) Orlando, FL; two aunts: Mrs. Hannah Simpson Green of Detroit, MI and Mrs. Gail Dunning of Fort Lauderdale, FL; his grandchildren: Dekeldrick Barker, Eldric Williams, Jacob Riley, Makiya and Jamiyah Williams and Alyssa and Delisha Larkins; father-in-law and mother-in-law, Mr. & Mrs. John and Susie Wilburn of Cuthbert, GA; brothers and sisters-in-law: Mr. Clarence and Patricia Marcus of Albany, GA, Mr. Lucious and Lillie Marcus and Mr. Wallace and Betty Jones of Cuthbert, GA; a devoted cousin Mr. Frank Williams of Chicago, IL and a family friend Ms. Chrystalyn Thomas of Warner Robins, GA. Several other relatives and friends also survive. Graveside services for Ms. Kim Sanders age 49, of New Britain, CT will be Saturday, July 20, 2013 at 2:00 P.M. at the New Hope Baptist Church in Montezuma, Georgia. Kim died on Friday, July 12 at the Hospital of Central Connecticut at New Britain. Kim Sanders was the daughter of the late Willie Mae Sanders. She was affectionately known as Auntie Mary, Auntie Te Te and T - Cat. Kim graduated from the Hartford public school system and was employed at Advanced Auto parts as a sales representative. She was a devoted mother and is survived by three daughters: Somers McCray (Cortney), Kera Morales, Kanaya Morales and one son Kelvin Sanders, one grandson Cortney Jr; her companion David Morlaes; and six sisters and one brother all of New Britain. She is also survived by a host of nieces, nephews, cousins, aunts, uncles, and godchildren. Mr. Robert Earl Moore, Jr.
Memorial Services for Mr. Robert Earl Moore, Jr. age 49 of Americus, Georgia will be held on Saturday, July 13, 2013 at 2:00 P.M. at Oasis World Outreach on N. Dudley Street in Americus, Georgia. Mr. Robert Earl Moore, Jr. was born in Miami, Florida on July 24, 1963 to Robert Earl Moore, Sr. and Mary Green. He graduated from Americus High School in 1981. Earl was employed at Wal-Mart as a stock clerk. He was preceded in death by a granddaughter Ms. Zarkira Poole. 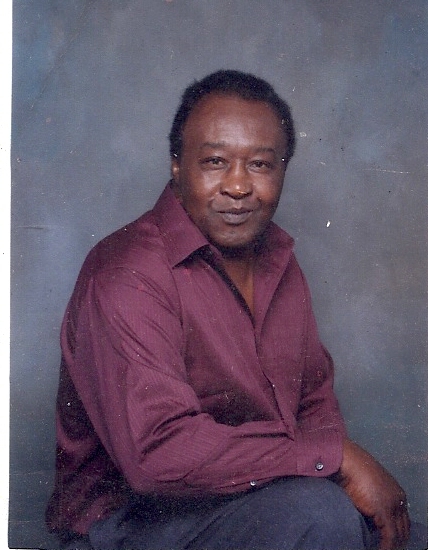 Earl died on Wednesday, July 10, 2013 at the Phoebe-Sumter Medical Center. He is survived by his wife Fannie Flowers Moore; five children: Kenyda Moore, Robert Moore, Quentin Moore, Manisha Bess and Talisa Moore all of Americus, Georgia; one sister, Christine Tookes of Americus, Georgia; four brothers: Willie Barker of Americus, Georgia, Robert Lee Davis of Millen, Georgia, Min. Walter Moore of Americus Georgia and Jonathan Wallace of Jacksonville, Florida; two devoted friends: Eleanor Tyner Clark and Cynthia Bess McCrary both of Americus, Georgia. Several grandchildren and other relatives and friends also survive. Funeral services for Mrs. Denise Miller Hunter will be held on Saturday, July 20, 2013 at 11:00 A.M. at the Pleasant Baptist Church in Smithville, Georgia with Rev. Henry Hosley officiating. Burial will follow at the church cemetery. Mrs. Denise Miller Hunter was born on September 15, 1962 in Brooklyn, New York to Cora Benefield and James Miller. She departed this life on July 5, 2013 at her home in Fort Pierce, Florida. She was preceded in death by her grandmother Magnolia Taylor and an uncle James Taylor, Jr.
She leaves to mourn her passing her mother Cora Benefield of Port St. Lucie Florida; her father James Miller of Brooklyn, New York; three aunts: Ossie Lockett, Mary Burton (Charles) of Smithville, Georgia and Willa Collie of Port St Lucie, Florida; five uncles: Thomas Taylor, Jerome Taylor, Bobby Taylor and Jimmie Lee Benefield all of Smithville, Georgia and Lewis James Benefield of West Palm Beach, Florida. A host of other family and friends also survive. Funeral services for Eugene Hicks, Sr. will be Saturday, July 6, 2013 at 2:00 p.m. at Rocky Mount Missionary Baptist Church, Reynolds, Georgia with Elder David Towns officiating. Burial will follow in Lucas Cemetery, Reynolds, Georgia. Eugene Hicks, Sr. known to many as “Peter Rabbit” was born on July 1, 1935 in Reynolds, Georgia to Hattie Ruth Montford and Sid Hicks, Sr. He was united in holy matrimony to Eunice “Polly” Troutman Hicks. For many years he worked at Wainwright Peach Farms as a Field Foreman. He later worked for W.D. Williams Horticulture and Flowers Center of Reynolds. Mr. Hicks passed away on July 2, 2013 at the Medical Center of Central Georgia in Macon, Georgia. His memory will forever be cherished by his wife, Eunice “Polly” Hicks; two loving children: Gloria “Tammy” Ethridge and Eugene (Silvia Ann) Hicks, Jr. both of Warner Robins, Georgia; one brother, Sid Hicks, Jr.; two sisters: Isabell Gibson Little and Minnie Corbin both of Reynolds, Georgia; six grandchildren, fourteen great grandchildren; a devoted friend, Jerry Smith and his two granddaughters: April Gouch and LaTonya Gouch; a host of nieces, nephews, cousins, and many dear friends.